We are excited to have in latest Product Line the superb de Buyer range of cookware. De Buyer is a French company established in the 1800’s and is known for its high end quality products. 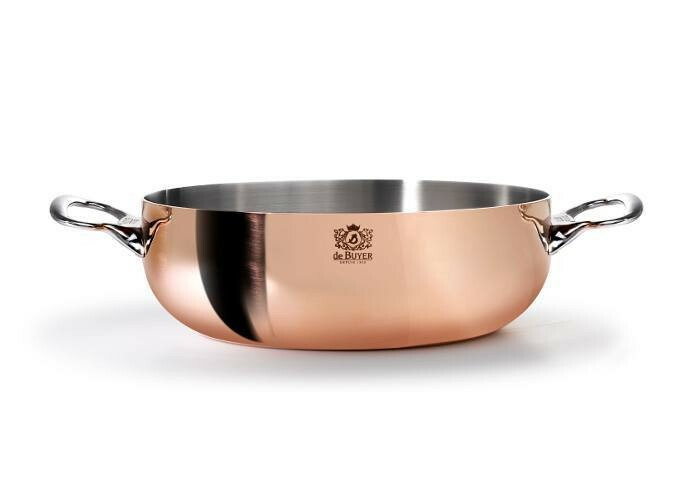 The de Buyer Prima Matera Round Sauté Pan with 2 Handles and Magnetic Induction Bottom is manufactured using 90% copper plus 10% stainless steel which is 2mm thick. It has a wonderful gloss polished finish with riveted handles made from cast stainless steel and weighs approximately 2.44kg. 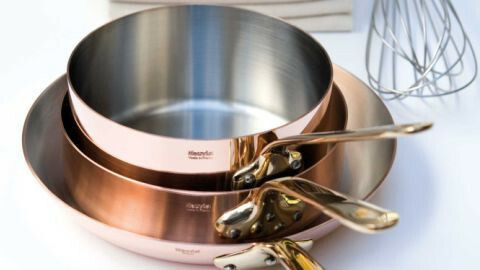 This magnificent copper Sauté Pan has a special innovative ferro-magnetic bottom which can be used on all hotplates including INDUCTION. This superb pan will give you a life-time of usage and will always look wonderful when presented to your table. 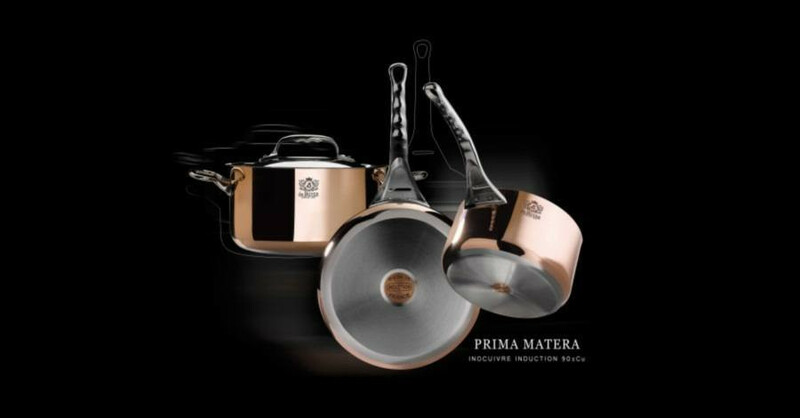 You can buy the de Buyer Prima Matera Round Sauté Pan in our online shop at our uniquely reasonable prices.